The Fold Farm grows seasonal vegetables, herbs and some fruit in our market garden which is certified organic by the Soil Association. 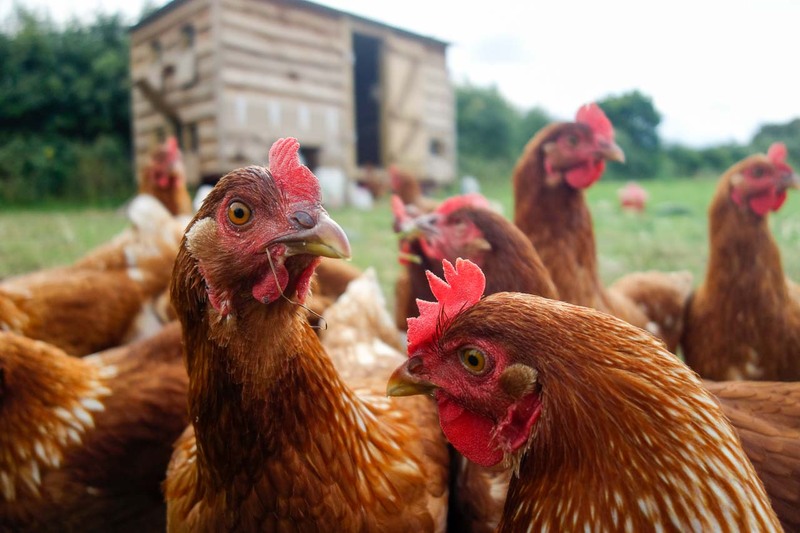 We keep a flock of 40 free-range hens for organic eggs too. For us ‘fresh’ means ‘picked that morning’ – we pride ourselves in providing truly fresh vegetables to all our outlets, ensuring the highest quality and most nutritious produce. 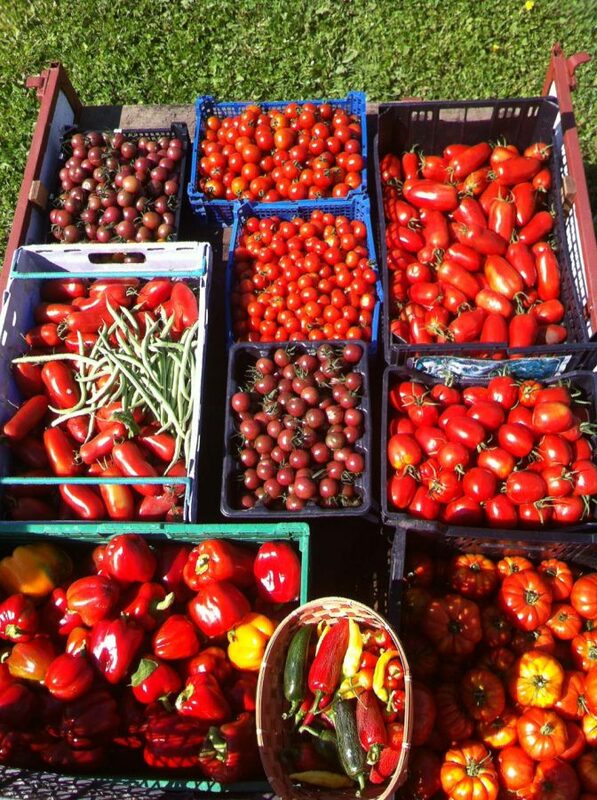 You can purchase our vegetables in the Fold Farm Shop, order a veg box for collection from the Fold, visit the Fold’s Monthly Markets or contact the farm about buying wholesale. And in the Fold Cafe, the seasonal menu is all about what we’re harvesting now on the farm. We also supply other farm shops, restaurants, and cafes in Worcester and Malvern. 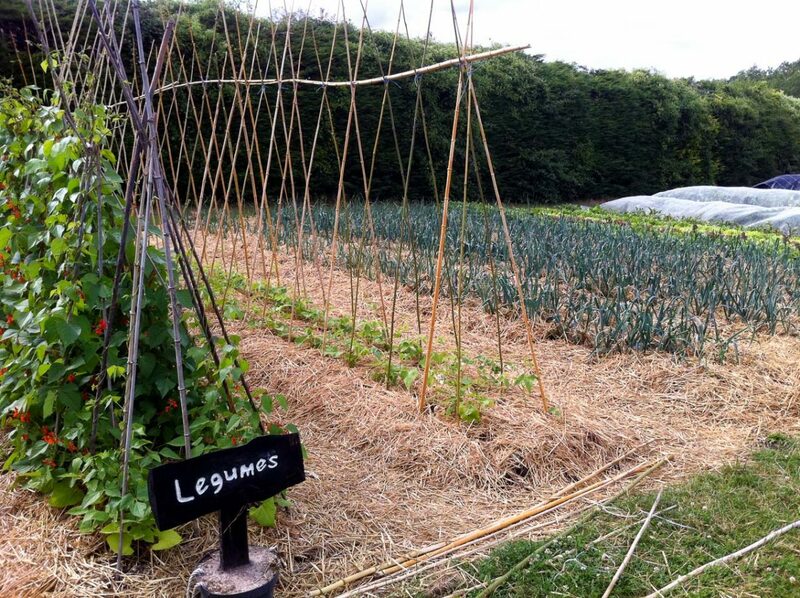 With glasshouses, polytunnels, raised beds and field space, we are able to keep up a good supply of organic veg year round. We specialise in the crops that small-scale does best like mixed salad, leafy greens, early potatoes, heritage tomatoes and fresh herbs. 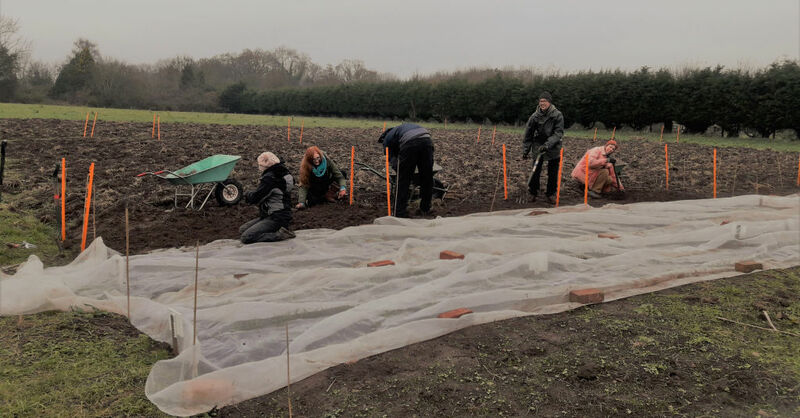 The Farm, supported by volunteers, also runs as a Care Farm, providing meaningful work for people with particular needs in a safe, supported environment. Participants develop confidence, skills and independence whilst working with the team. For more information about the care side of farming please visit here. 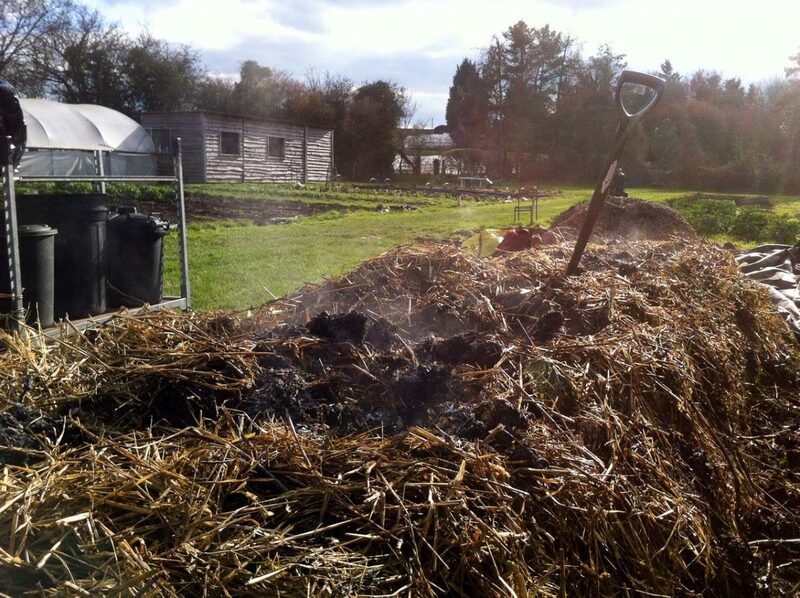 We treasure and respect the soil, using minimal tillage methods and adding our hand-made compost to beds every year. 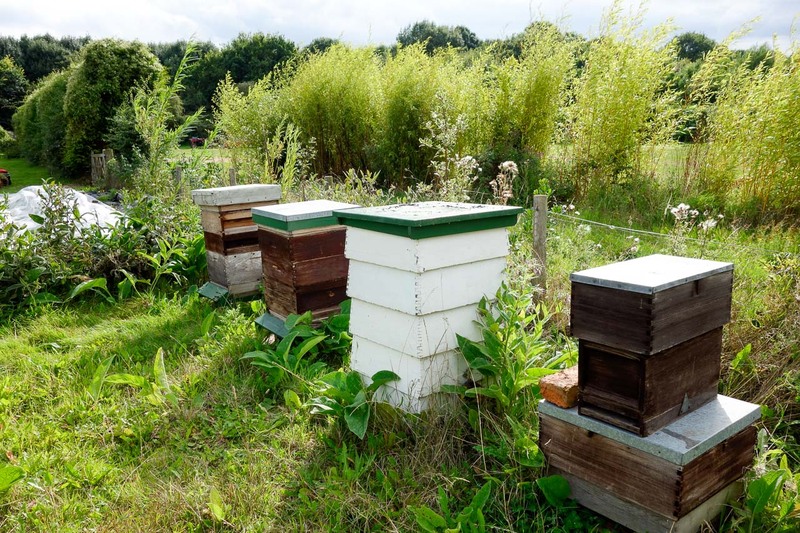 We value biodiversity; creating habitats for wild creatures where we can, providing a safe place for honeybees to thrive, and growing companion plants which benefit pollinators. 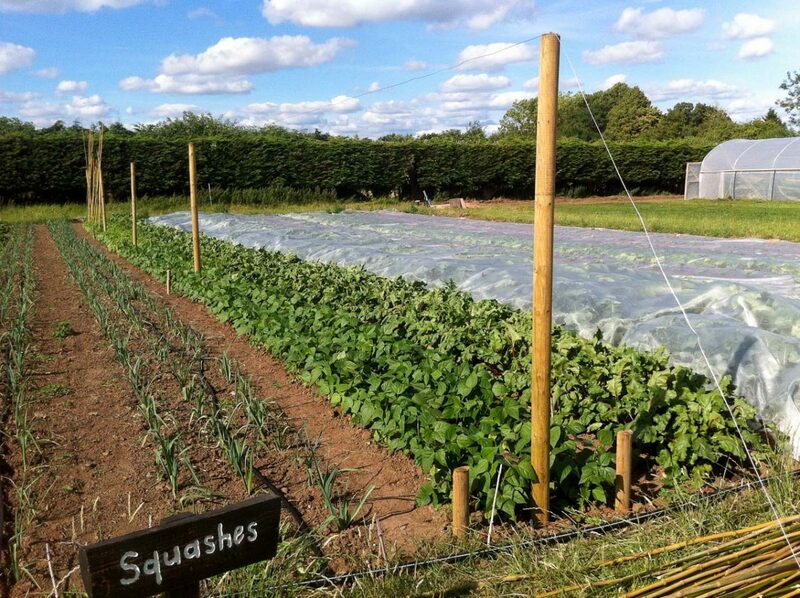 Rather than spraying insecticides we use mesh covers to protect crops from caterpillars; we weed by hand rather than use herbicides and try to use clever crop rotations and variety choices to prevent diseases rather than using chemical remedies to treat them. 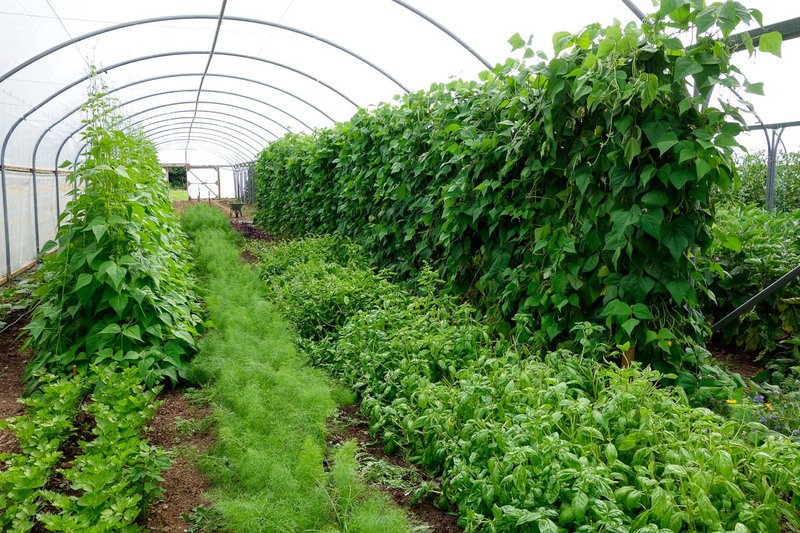 Our polytunnels enable us to provide fresh food all year round, but we don’t heat our covered areas. The farm has trebled in size in the last 18 months and is split across two sites, one near the main Fold car park and another by start of the Nature Trails. We have more field space and infrastructure to expand in to in the future…. 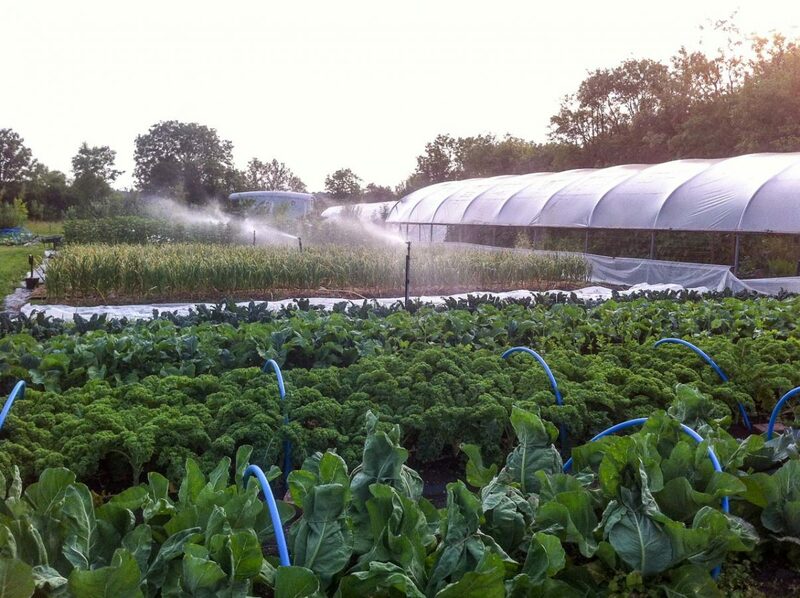 Our farm is expanding – please contact us if you are interested in collaborating with us to grow produce on your behalf. Whether it be an unusual variety of veg, a regular supply of fresh herbs or a bulk purchase for preserving, we are open to exploring how we can work with local partners. Email farm@thefold.org.uk to discuss availability and prices. We are able to deliver to the local area (minimum spend does apply).